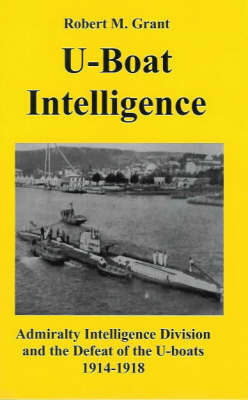 The second book in Grant's trilogy covering the war against the U-boats shows how the Intelligence Division of the Admiralty played a key role in the defeat of the U-boats in World War I. With the assistance of the Naval Historical Branch of the Ministry of Defence and the Director of Naval History in Washington, Professor Grant has been able to piece together the crucial role played by naval intelligence in the victory at sea 1914-1918. Intelligence came from many sources including prisoner interrogations, signals interception and the investigation and salvage of wrecks. By analysing this information, naval intelligence was able to thwart attempts to land spies in North Africa, deal the U-boat minelaying campaign in British coastal waters a fatal blow and ensure that the U-boats would not have the opportunity to attack the Grand Fleet in 1918. It contains updated tables of the fate of individual U-boats.